Three Simi Valley Unified School District schools were named California Gold Ribbon Award Schools today by the California Department of Education. There were only eight schools in Ventura County to receive the award this year. Santa Susana High School, Sinaloa Middle School and Valley View Middle School have been recognized for making “gains in implementing academic content and performance standards adopted by the State Board of Education,” according to the CDE. The California Gold Ribbon Award temporarily replaces the California Distinguished Schools award. As the state is not testing and gathering Academic Performance Index (API) data, and the Distinguished Schools award is based on API information, the Gold Ribbon Award was created to recognize outstanding schools on other criteria. This year, middle and high schools were invited to apply. Next year, elementary schools will be considered. Altogether, 193 middle schools and 180 high schools received the honor this year. Santa Susana High School is a magnet school specializing in technology, the performing arts and rigorous academics. Long recognized for its excellent programs, it was named a California Demonstration School last year. 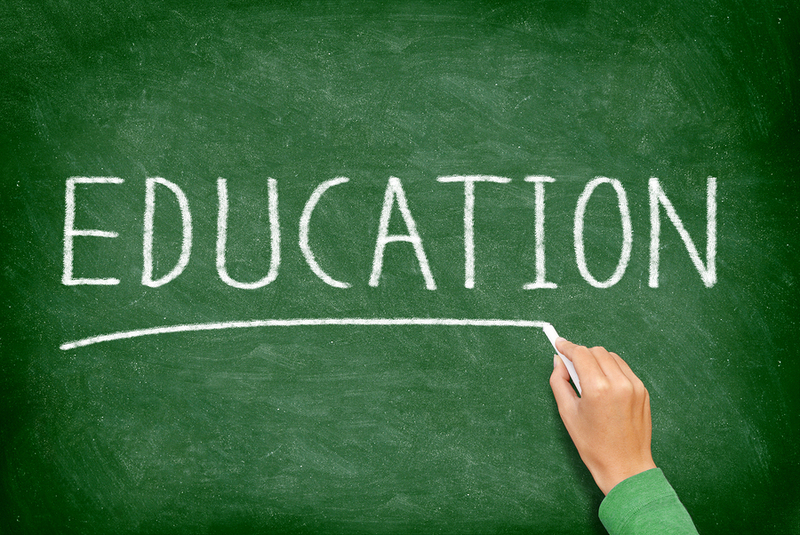 This designation makes Santa Susana a model school upon which other California schools can use to develop similar programs. Santa Susana’s principal is Wendy Mayea. Sinaloa Middle School was named a School to Watch last year for being a “high performing middle school model.” The school has an emphasis on leadership and is working on obtaining its International Baccalaureate Middle Years designation in partnership with Royal High School. The largest of Simi Valley’s three middle schools, Valley View Middle School is known for its excellent academic success, popular music programs and its growing relationship with Simi Valley High School’s medical and health science programs. Valley View’s principal is Michael Hall. 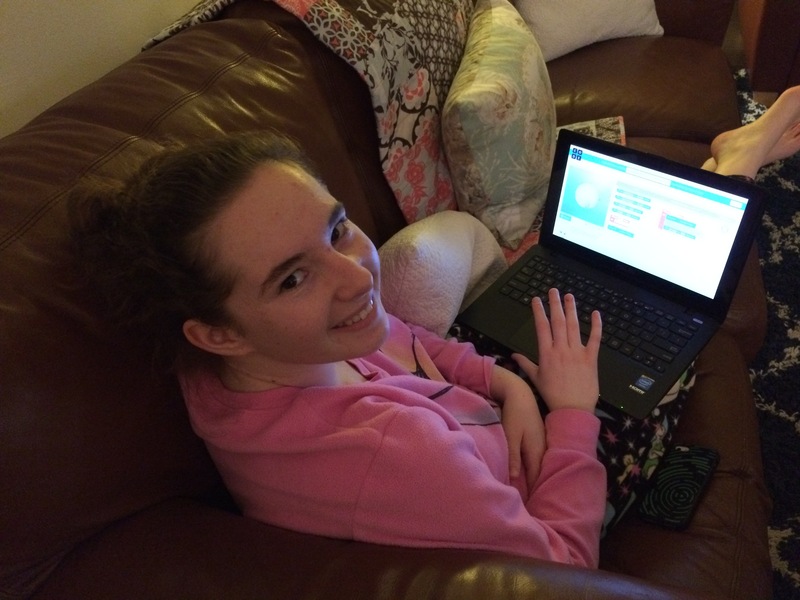 Samantha Finch, an eighth grader at Hillside, makes Elsa skate in Disney’s coding game. The coding assignment is part of her math homework. Frozen’s Elsa is poised on the ice, waiting for her instructions. Our student, Samantha, creates a list of commands. If she organizes the list correctly, Elsa will “skate” a snowflake on the ice. -move forward by 100 pixels. -turn right by 90 degrees. When done, Samantha will click “Run” and Elsa will gracefully skate the pattern Samantha commanded on the screen ice. If the pattern is correct, Samantha will move to the next level and continue the game by writing more challenging instructions. Yes, this is a game. But what Samantha and many other students throughout Simi’s schools, and the world, are doing is coding. Coding is computer programming, where specific commands are used to tell the computer to carry out actions. Last week, in an ongoing, international effort to promote teaching kids how to code, many of Simi’s schools participated in the Hour of Code. To help support the effort to teach coding, some of the biggest names in tech, retail and entertainment joined together to create games, classroom apps, tutorials and curriculum that teachers could use to expose their students to coding. During the week of Dec. 8-14, the official Hour of Code organization offered live web chats with celebrities such as Ashton Kutcher and Jessica Alba to 100 classroom winners. Major corporate sponsors included Amazon, Apple, Microsoft, Best Buy, Disney, Google and The Boys & Girls Clubs of America. From kindergarten through high school, students jumped into these programs–alone or in pairs–to write code and get to the next level. And at many schools, parents were welcomed participants in after-school coding parties. John Brinkman is a computer programmer. He’s also the father of Theodore, a second grader at Wood Ranch Elementary School. Dad John Brinkman helps his son Theodore (in orange) and Josh Abugow, work their way through an Angry Birds coding game. Brinkman is a computer programmer. 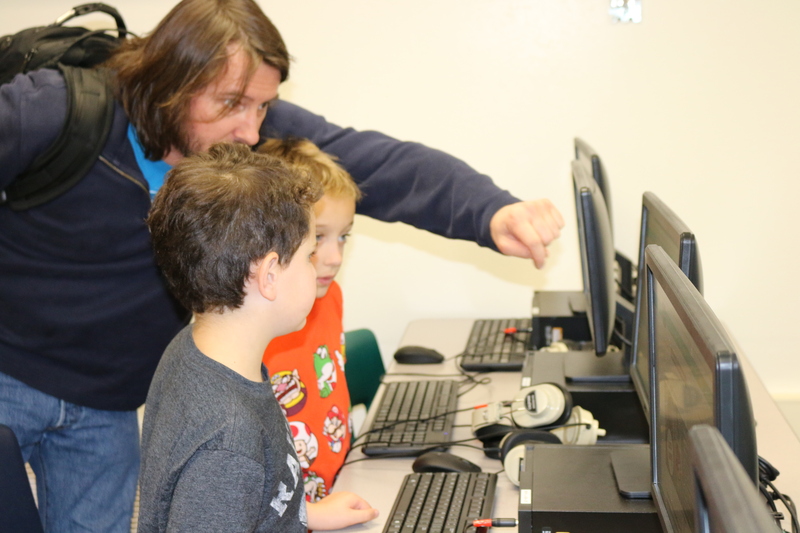 The boys are second graders at Wood Ranch Elementary, which held its Hour of Code on Dec. 8. This week, following the completion of the Hour of Code week-long event, the website had 77,441 Hour of Code events registered. 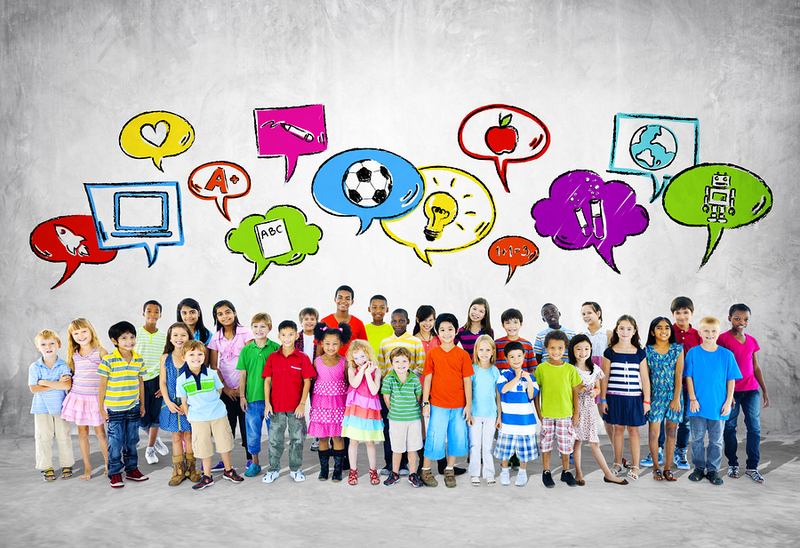 In all, it’s estimated that 15 million students learned an hour of code last week! The games and tutorials weren’t just used on computers. Smart phones, tablets, iPads and other devices were all used with the coding apps. Here in Simi, the Hour of Code was a voluntary program. Dustin Ellis, Teacher on Special Assignment (TOSA) in charge of technology, said the turn out was much better than last year with most schools participating in some way. One example is Deborah Ibbott, a fourth grade teacher at White Oak Elementary. Ibbott has made coding a part of her daily instruction with her students. One hour each day is spent on coding to help teach the students computer science. But coding also requires students to know geometry, math, language skills and more, making coding a great Common Core choice for classroom instruction. For more information on coding, go to hourofcode.com. 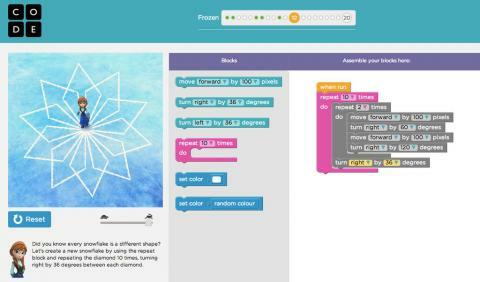 Disney’s Frozen, the Angry Birds and other code games can be found at studio.code.org. The Walt Disney Co. has more information about its involvement in Hour of Code HERE. A quick search in the iTunes store for “Coding” will also glean a ton of apps for children and adults wanting to learn basic coding. School’s been in session more than a month, and students at Hillside Middle School are settled into classes. But things aren’t looking, or feeling, exactly the same as they did last year around the campus. Music, always a prominent part of Hillside’s culture, has expanded to include the sounds of piano keys and string instruments. PE uniforms now include leotards as dance has been instituted at the school. The technology courses have grown to offer web design, programming and digital photography. Drama class brings with it the promise of a refurbished stage for future performances. And then there are the students, more of them, drawn to the new programs and promise of preferred enrollment at Santa Susana High School, Simi’s well-known arts and technology magnet school. Altogether, the school’s enrollment has increased to 805 students this year. That’s 108 students more than last year, 20 of whom transferred into the district from other districts and others who have returned to Simi Valley Unified from private schools and home-schools. It’s not just the classes that are new to Hillside. Principal Jerry Block left the ocean breezes of Malibu High School to usher in Hillside’s STEAM program. STEAM stands for science, technology, engineering, art and math and helps define the school’s expanded focus. It was the lure of the new programs that tempted Block to Simi Valley, he said. The programs at Hillside were inspired by the successful programs found at Santa Susana High School. With this partnership in place, students at Hillside will have preferred enrollment at Santa Susana High School. Staff at both campuses collaborate to ensure that the middle schoolers are well-prepared for the unique offerings at the high school. Dr. Jason Peplinski, assistant superintendent of educational services, said that similar partnerships are being developed between Valley View Middle School/Simi Valley High School and Sinaloa Middle School/Royal High School in the near future. “There are already developing partnerships with the STEM initiative between Valley View and Simi Valley High,” he said. Simi Valley High School has the Medical Health Careers Academy along with other specialized courses in health, science and technology. At Royal High School, the Jr. ROTC, Ronald Reagan Citizen Scholar Institute and the newly formed International Baccalaureate programs all have the potential to form a middle school partnership with Sinaloa Middle School. Hillside’s program changes answered the greater demand from parents for middle school opportunities, and Block said that this year’s changes are just the start. Other opportunities being developed include three-day science camps, a robotics club and expanded science courses. He said all of this has generated a lot of enthusiasm among students and staff. The Simi Valley Unified School District Board of Trustees met in a special session on Tuesday, May 20 to discuss appointments of several administrative positions throughout the District. Coming out of closed session, Board President Rob Collins confirmed the hiring of Jerry Block, the current principal of Malibu High School (which is actually a grade 6 to 12 school) as the new principal of Hillside Middle School. As the 2013-2014 school year nears its end, it is normal to welcome personnel changes throughout the Simi Valley Unified School District. This year, we proudly announce the appointments of the following administrators for the 2014-2015 school year. Cheri Toyen, the coordinator for the Tobacco Use Prevention Education (TUPE) program, will become a counselor at Hillside Middle School. Kate Snowden, currently the principal of Simi Elementary School, will replace Laura Tyre as the principal of Wood Ranch Elementary School. Laura Tyre is retiring. Michael Hall, currently the principal of Madera Elementary School, will replace Terry Webb as the principal of Valley View Middle School. Terry Webb is retiring. Debora Palmer, currently the principal of Justin Elementary School, will replace Michael Hall as the principal of Madera Elementary School. Anthony Karch, currently the principal of Park View Elementary School, will replace Dr. Sherrill Knox as the principal of White Oak Elementary School. Dr. Knox has accepted a position with the Ojai Unified School District. Laura Wellington, currently the principal of Hillside Middle School, will become principal at Abraham Lincoln Elementary School. Jerry Block has been hired from outside the SVUSD to become principal at Hillside Middle School. Theresa Garner, currently the principal at Crestview Elementary School, has accepted a position with the Moorpark Unified School District. Principals at Crestview, Justin and Park View elementary schools are still to be determined. Announcements will be made as soon as the decisions are final. Jerry Block has served as the principal for Malibu High School, which includes grades 6 through 12, since 2012. A former assistant principal at Oak Park High School, Mr. Block is a Newbury Park resident. He earned his Bachelor’s degree in Spanish and Linguistics from University of California-Los Angeles in 1998, his single-subject credentials in Spanish from California State University-Northridge in 2001, and then his Master’s degree in Educational Leadership and Policy Studies in 2004, also from CSUN. We wish to congratulate all of our new positions, thank those who are leaving for their many years of excellent service to our students, and welcome our newest member to the district.